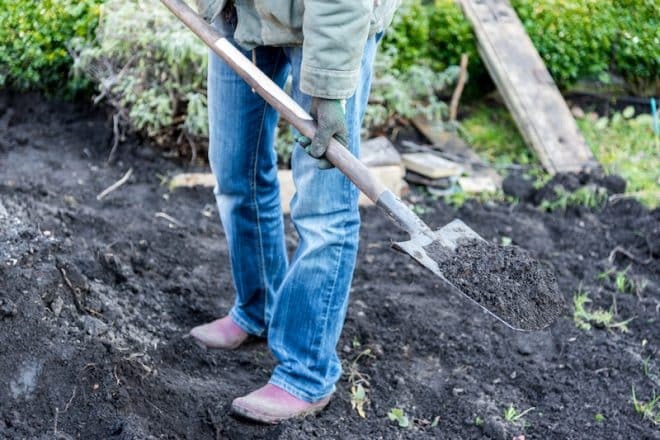 There’s only one thing more dreary and dark in Winter than the weather – your garden. Your best plants are stripped bare, heavy winds and rain wreak havoc on your favourite beds, and the only colours you can see are grey, black and blue. It’s a sorry sight and often makes you wish you could cover your garden with a great big sheet until Spring comes about. With the right landscaping choices, however, you can turn this all around. This is why some gardens in Winter feel like a magical private wonderland, and others easily forgettable. The difference is just a matter of knowing how to approach it like a landscaper. To help you create a wonderland of your own in your garden this Winter, here are our best winter landscaping tips drawn from our 20 years of experience. Your mind probably doesn’t immediately flash to birch trees when you think of Winter, but it should. Birch trees are great for producing colourful tree bark that adds texture and interest to any seasonal garden. Most varieties are larger, but you can now find an impressive selection of smaller species that can slot into your garden beds perfectly. Ideal choices are paper birch and yellow birch. Dogwood varieties aren’t birch trees, but they can also provide a warming array of fallen bark in your yard. Planting foliage that sprouts berries will give your garden a splash of warming reds, burgundies and other bold colours. It’s a much-needed contrast from the usual depressing colours of Winter. As a bonus, most berries will also attract a vast array of colourful birdlife. A beautiful garden is often a lively one, and nature’s visitors will further improve the contrast and warmth of your yard. And if you’re lucky, you might even find some wild species poking around to see what the fuss is about! Perennials go hand-in-hand with every Winter landscape. Many colourful and striking varieties of plants keep their coat on throughout the year, making them a perfect addition to your planting list. If you’re out shopping at a nursery look out for the perennial label – you might surprise yourself! Otherwise, an expert landscaper will have the latest and best knowledge on which perennials will complement your garden perfectly and add a touch of elegance in the wet. Evergreens retain a green foliage throughout the year, making them a textbook example of the perfect winter plant. Their rich colour adds an extra dimension to your garden over Winter. Despite popular opinion in Australia, Evergreens are not just for Christmas – they also come in smaller shrub varieties, and can be found in blue and yellow colours as well as green. They’re not just great during the chilly period, either. As a bonus, evergreen plants also give your planting beds a focal point that you can enjoy long after the ice has melted. Growing an ornamental grass variety in your yard has a range of benefits which become even greater in Winter. Firstly, ornamental grass is rich in colour and texture and offers a very low maintenance, low water garden feature year-round. This is all well and good, but the grass really stands out in the colder seasons. You’ll be enchanted by their lovely movement in the wind, and the tiny berries grown on some varieties that attract more birds. Tall varieties like plume grass and maiden grass are perfect species to look for or go with purple mountain grass for a striking and eye-catching finish. When leaves and shrubs melt away during the harsh winter weather, attention draws quickly towards feature items around the plants. We’re talking benches, chairs, sculptures and fountains. These are often referred to as ‘hardscapes’. If your garden is big enough, consider adding a stylish arbour to drape roses and vines from. It doesn’t have to be expensive – a landscaper can install one for you at an affordable price that will give you joy for years to come. Creating the right mix of tall plants and small shrubs in winter is critical to present a landscape with the perfect balance. If you live in an area where ice and even snow can build up on plants, it’s best to fill your garden with larger plants. They will catch the eye more often in darker weather and add boldness and texture to your yard. Follow these Winter landscaping tips to give your garden elegance, grace and beauty from June to August. They will help you feel proud about your yard for longer and get you through the cold season until Spring begins. If you would like the landscaping experts to give you a hand creating your perfect winter garden, give us a call today!